The smart sand dispenser unit is a static body with inbuilt self aligning conveyor system. 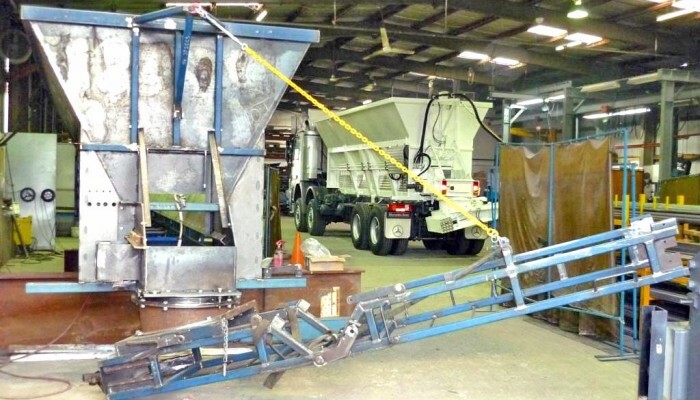 The material is discharged at the rear of the body by way of a rubber belt conveyor and is driven by either a separate motor or can be run off the vehicles PTO system. Smart Fabrication currently manufactures 3 different and unique designs, each tailored to suit different size/capacity machines and applications. The design, manufacture, testing and checking is performed in accordance with the procedures specified in our quality system. 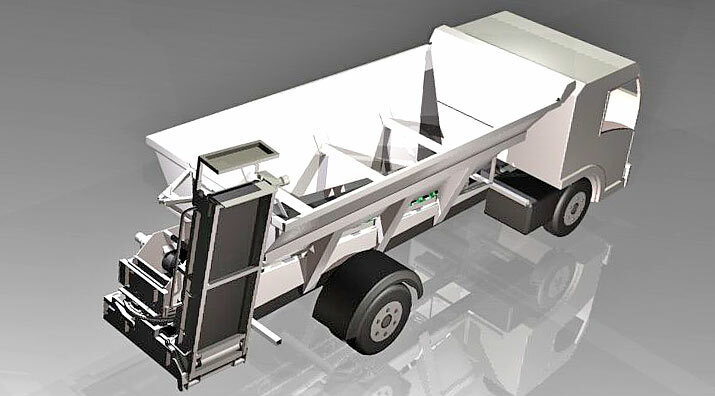 The Roocon is a 100% Australian made and owned product and is manufactured at Smart Fabrications workshop in Adelaide, S.A.
All designs are drawn up in 3D enabling the customers specific options to be seen in operation before fabrication has even begun. 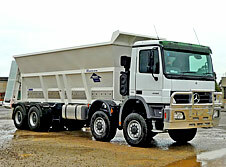 Each Roocon is custom made to suit your truck. The conveyor belts can be controlled via a remote used by the operator. 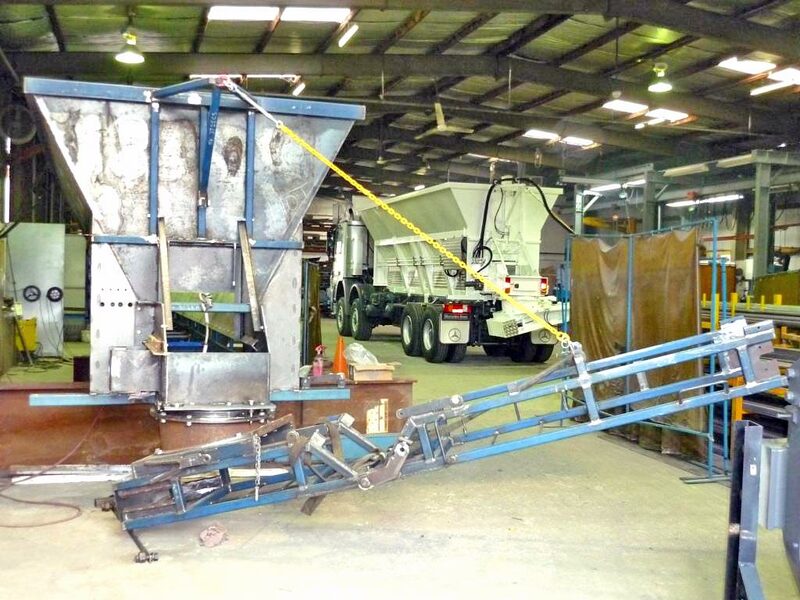 The remote is capable of stopping and starting both belts, opening & closing the rear door, lowering & raising the feed conveyor and slewing the conveyor through 180 º.